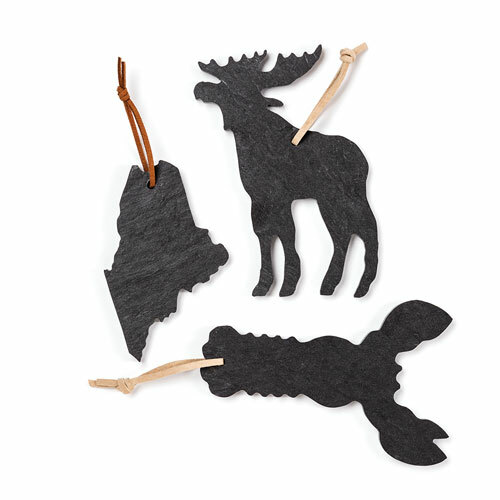 With their chocolate moose pops and iconic lighthouse logo, Wilbur’s of Maine Chocolate Confections is probably one of the state’s most well-known home-grown brands. 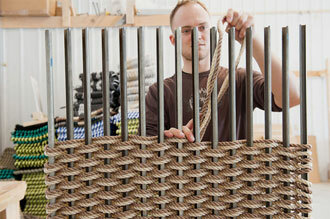 Leslie Forsdick always knew she wanted to do something creative. So in 2014, after a company restructuring left her without a job, LESL Ware was born. 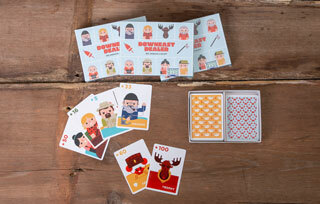 Downeast Dealer is a three- to five-person card game where players compete to collect the best yard-sale treasures, from lobster traps and canoes to moose trophies. 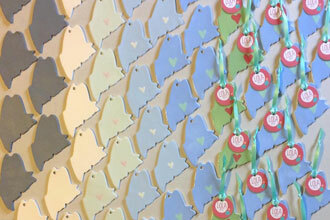 In 2014, Tori Yattaw launched Maine Bags & Goods from her home studio. 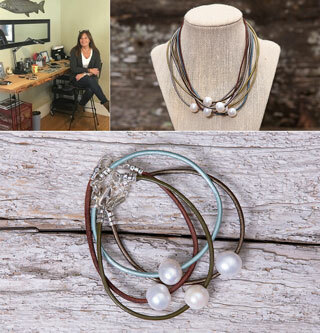 Her collection is developed to withstand the rigors of Maine’s harsh climate. In 2012, Drake launched Lola Arts — named after her black Lab mix, Lola, who sparks the same kind of raw joy that she hopes to create with her work. When Marley Wilkinson launched Cobalt Sky Studio a decade ago, she drew from the fishing traditions that had fascinated her. Alana and Evan are inspired by Maine’s mountains, its rugged coastline, and the beauty that’s inherent in the stones they use. Shop by interest, shop by person. 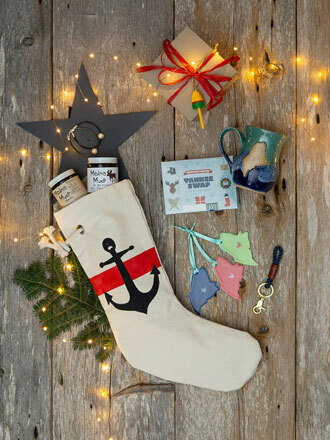 We’ve made it easy for you to find the perfect gifts for the lovers of Maine in your life. 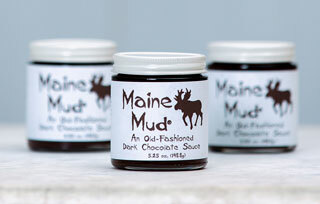 Your guide to Maine’s best locally made gifts, products, and more.